Can Great Britain Repeat Gold in Men's 4x100m? Can Great Britain Repeat Gold in Men’s 4x100m? In 1996, when the USA were too busy worrying about where to fit in Carl Lewis for the 4×100 meter relay, Canada stayed focus to win the Gold medal. But the Americans bounced back with a vengence with Maurice Green and won the Gold medal back in 2000. Fast forward to 2008 and their team doesn’t have a hope in hell (in my opinion) to win the gold. Why? 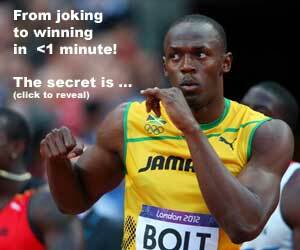 The 4x400m is pretty much an automatic win for the Americans, but in the 4×100 meters, anything goes! I think the Jamaican Team will win gold and maybe a new World & Olympic record. The only Team to have 2 athletes with 9.7s ! @Ramzi – when Canada won gold in 1996, they had 2 sub-10 seconds 100m runners – Donovan Bailey and Bruny Surin. 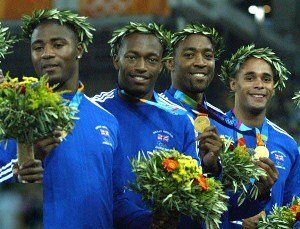 Plus, the relay team had practiced several times with Robert Esmie and Glenroy Gilbert. Yeah but when Jamaican ran the NR of 37.89 in Osaka last year, was with a very bad 1st exchange between Marven Anderson & Usain Bolt . That time Bolt had run no sub-10 yet ! The biggest difference between 10.0s & 9.7s! Powell wasn’t in his form that championship..after a couple of weeks he broke the world record running 9.74 . Nesta Carter & Marven Anderson’s PB respectivly with 10.11 & 10.15 could make the team or we can replace anyone of them by 2005 Silver Medalist Micheal Frater . Everything is POSSIBLE. For the 4×4 .. the United States will win 99.99% and can get to the world record set in 1998 by johnson,young,washington and pettigrew (2.54.20 – Goodwill Games) with Jeremy Wariner (43.45) Lashawn Merrit (43.96) Kerron Clement or Angelo Taylor, As to never forget the greatest come-from-behind runner Darrold Williamson! @Ramzi – yes, Jamaica will be the team to beat this year with a healthy Usain and Asafa and Frater. Where would you put these athletes? Usain is my #2 man because of his strength to run the 200m, and my guess Asafa wants to run anchor. I suggest putting Nesta Carter or Micheal Frater on The Start, Then on the back stretch Usain Bolt where he can run more than 100m ! probably around 110m then on the 3rd leg Carter or Frater Then Asafa Powell into the Homestretch on the final leg!& Can also run longer then 100m like he did in Osaka. P.S : As not to forget about the Junior Yohan Blake with his PB (2007) is 10.11 !